Federal Signal’s Model 300FP Field Programmer is designed to transfer and program custom messages and tones on CommCenter message modules. The unit features an integrated playback speaker for review before the module is installed into any of the compatible devices, including; 300MB or TM33. Lossless audio transfer is achieved through the use of proprietary file loading software supplied with the unit and/or downloadable from our website. 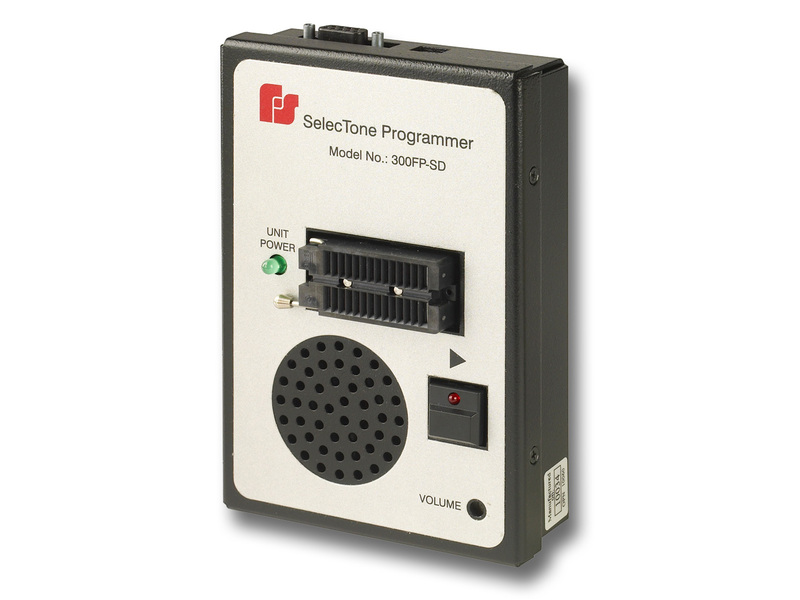 Through user-friendly instructions, an end-user will simply program/transfer an audio file to the module. This is done by connecting a communications cable supplied with the unit between the PC and the 300FP Field Programmer. The end user then follows the on-screen instructions, selects a communications port on their PC and an audio file to be transferred. Once activated the software automatically programs the microprocessor. It’s that easy. The transfer software is compatible with Windows XP, Vista and Windows 7. Custom tones or voice messages can be created by simply recording the message directly to a PC or via a digital recording device, then saving or formatting to the standard WAV or MP3 file format and following the instructions listed above. The heavy duty aluminum housing is finished in a black powder coat paint, easy to use push button and LED indicator light. The field programmer 300FP is ONLY compatible with the new PCB message module that is supplied with Series D products or the RMB9999SD and RM1SD.